We have noted that the most flooding occurs just downstream from the dam. The further downstream one is from the dam, the less the flooding, at least in that pool. So the worst place to be is just downstream from the dam. Our pool 14 is about 30 miles long. The upstream dam is 30 miles north, north of Clinton, Iowa. That is lock and dam 13. Lock and dam 14 is just south of Leclaire Iowa. 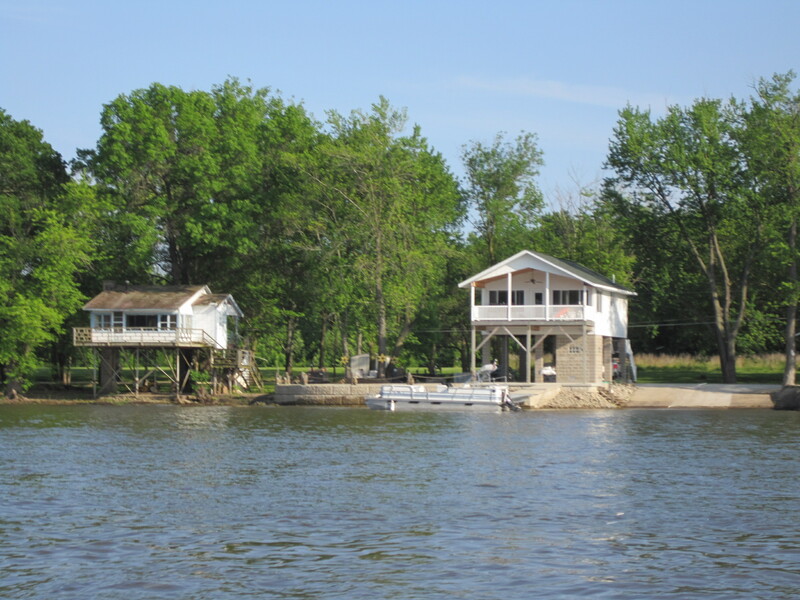 Our cottage is about 1/2 mile upstream from lock and dam 14. When it floods, it is not as bad at our cottage as it upstream in pool 14. Clinton is pretty well levied so the next spot where it comes out is just south of Clinton north of Albany, Illinois. 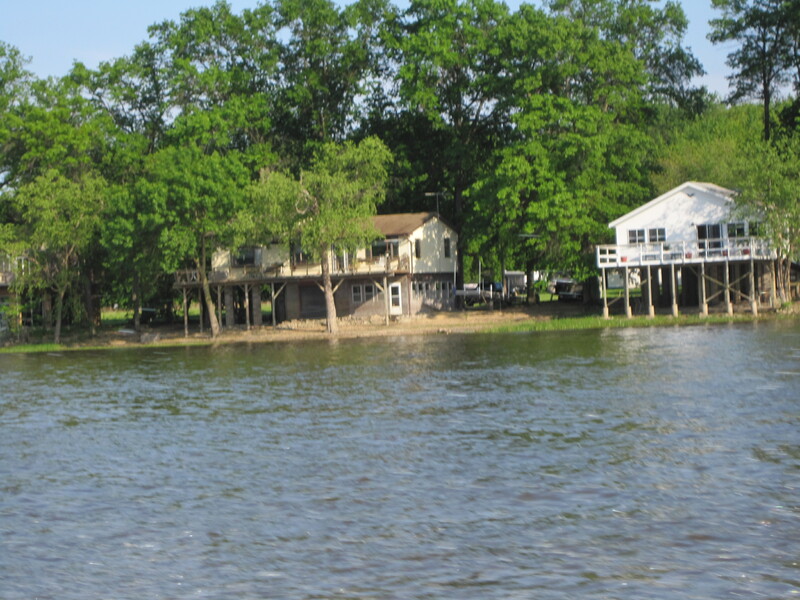 So the houses on the shore north of Albany, Illinois are up on stilts. Here are some shots I took from the boat. Say you are just out for a cruise and suddenly, you are very very hungry. If the Burger Boat is not nearby, then it is time to pull into shore and get a bite. Here are some restaurants where you can dock your boat and go on in. This new entry is up the river in Princeton. And took a picture from the air during the flood. Up above is my picture from the river. 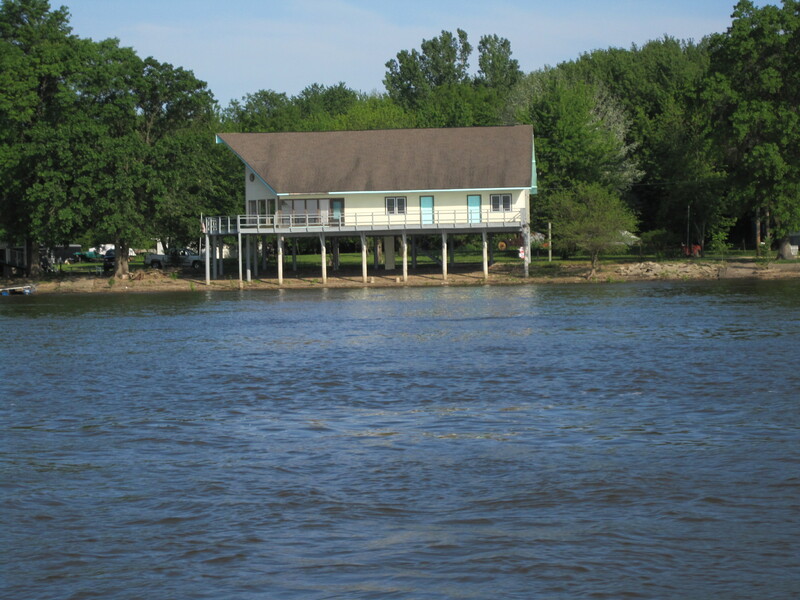 Another new entry is “Its on the River” which is in Port Byron, Illinois. I have to admit I have not checked out Cordova or Camanche, but I have not heard of anything there. 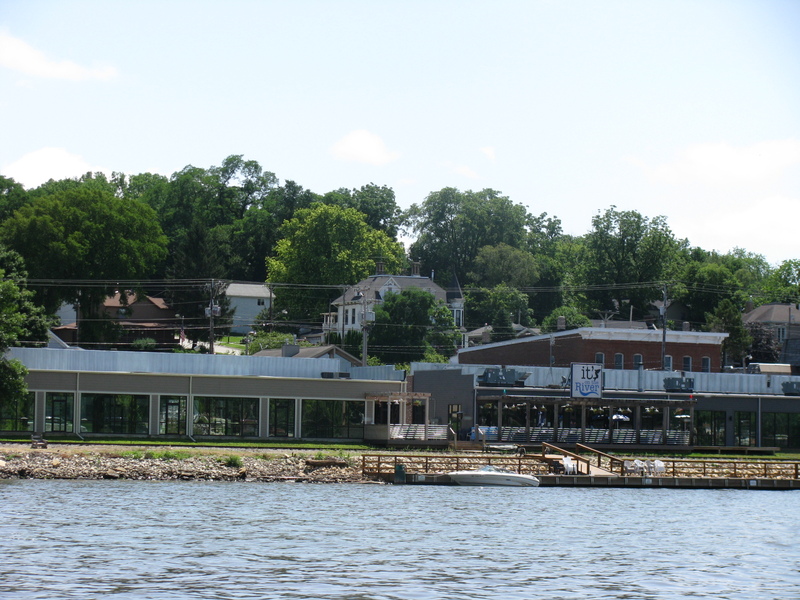 Up in Albany Illinois, there is a restaurant called McCabes Landing. Dock the boat on the city docks, walk over the tracks, go up in the steps in the back and you are there. Take cash. 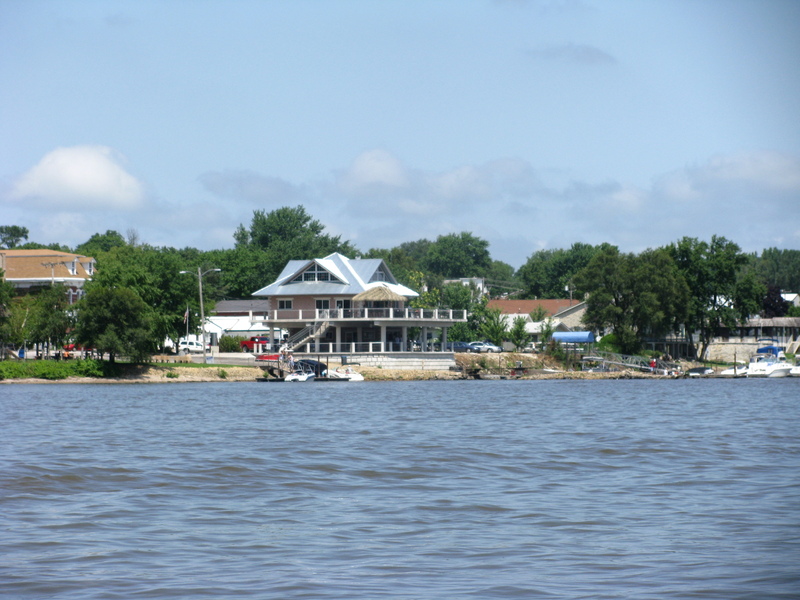 The City of Clinton Iowa has started work on a grand new marina which is to include a new restaurant. Nothing final yet, the floods slowed construction down. And of course, you can always take a picnic lunch to Princeton Beach.